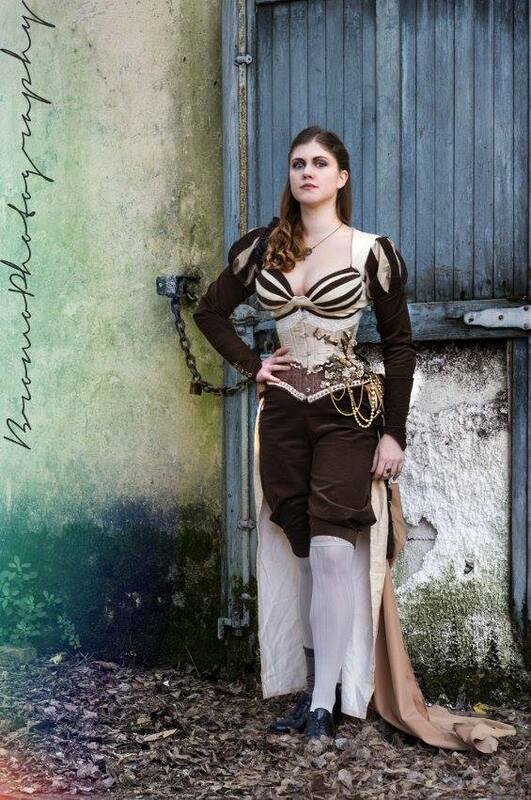 I am no longer doing steampunk for myself…which is why I am selling this ensemble. This ensemble includes a bolero, in suede and corduroi, laced at the back. 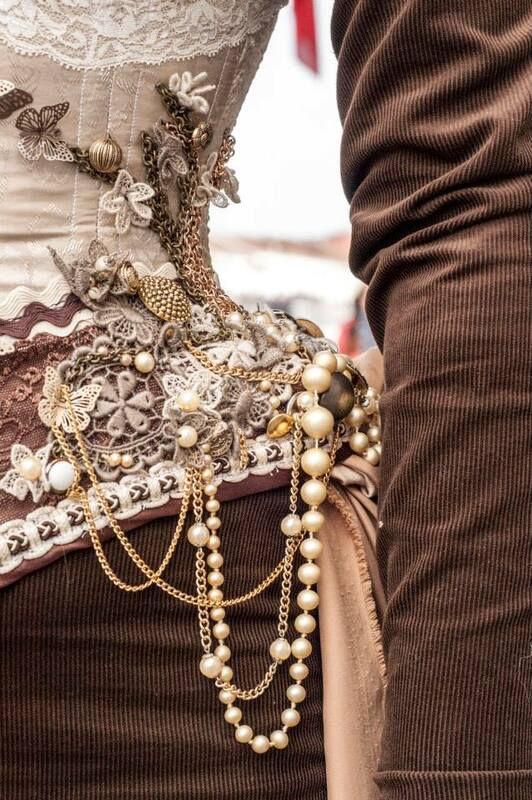 The steel boned underbust corset is made from cream brocade, brown lace, and some lace appliqués in the shape of flowers. Chains are sewed on, to create the shape of a tree, where some filigree 3d butterflies seem to fly. Breeches are made from the same corduroy. The back bustle is a simple gathered piece of fabric. 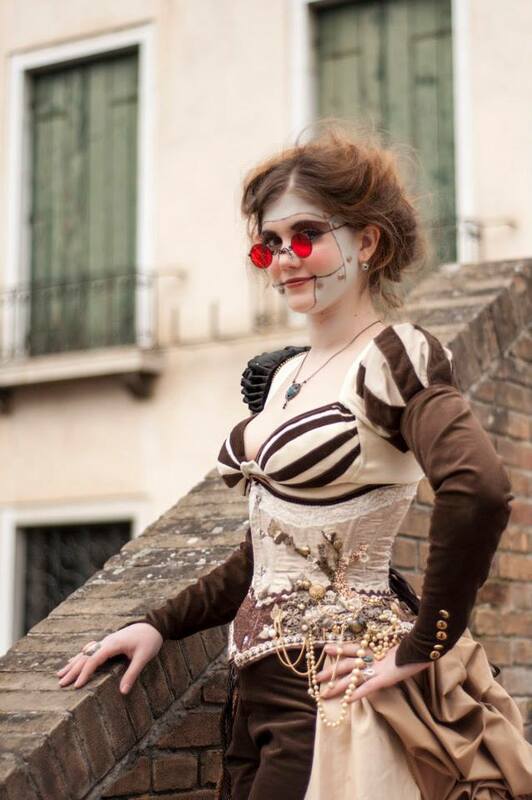 I wanted to make a steampunk doll that wasn’t simply a corset with a mini skirt and some garters. Photos by: Daniele Orrico, Marco Mambrelli, Francesco Ometto.